The Derby trail winds through Northern California this weekend with the Grade III El Camino Real Derby (3:50 Pacific Time). It’s an early 9f test with 10 Kentucky Derby points to the winner (10-4-2-1). This is an interesting race with a good amount of uncertainty and well worth watching. 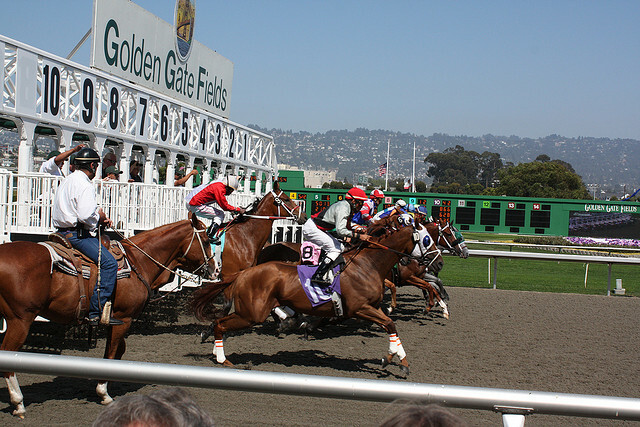 At the outset, Golden Gate Fields has a synthetic surface (Tapeta) — which, at least in theory, is better for several of the turf horses in the field. So, while I’d normally wait and see on any turf horse trying “dirt” on the Derby trail, I’m a bit more sympathetic to their chances today on the artificial. I’d still prefer a race over the surface and would be hesitant to accept a short price on any horse who hadn’t run yet over an artificial surface. As a general rule, I require a decent price on a horse trying to do something that he has never done before as I’d rather benefit, than be hurt, by uncertainty. There are reasons to favor the pedigrees of the first-time artificial runners. Every horse is different, but going to sire stats can be a useful estimate of the likelihood that a runner will like a surface. The two that standout are Team Valor’s Dale Roman’s-trained Indianaughty, who is shipping in from Gulfstream after a nice 1st-level allowance win, and Metaboss, who comes off a maiden win after running second to Bolo in late November. Both Street Boss, the sire of Metaboss, and Indian Charlie, the sire of Indianaughty, are excellent artificial surface sires. The race lacks a participant with even a 80 Beyer over the surface. In fact, the highest any surface Beyer belongs to Mischief Clem, the Cal Cup Derby winner, with only an 85, who should challenge Indianaughty for top honors here. He owns the best win of all the participants (the aforementioned Cal Cup Derby) and, unlike Indianaughty and Metaboss, has already shown that he can run well over an artificial surface, with a good performance at Del Mar over the summer. Importantly, he has also improved as he has stretched-out. Returning to the artificial surface today could very well yield a career-best performance. He’s my pick for the top. Conquest Typhoon is interesting, but hasn’t shown the speed that I like to see at this point in his career. A win is possible, but there’s usually a good deal of hype with horses owned by Conquest Stable, and usually find them best to avoid at low prices. The final horse to mention is local horse Cross the Line, who brings the highest track-specific Beyer to the race. That said, barring improvement, I expect him to be a bit too slow to find the top spot. Good luck, and don’t forget about the Southwest Stakes from Oaklawn on Monday (President’s Day). Preview of that race coming soon! Image: Josh Jackson, Copyright 2009.